It’s like 1994 all over again – but in 3D. Simba & Co. casually pawed aside Stephen Soderbergh’s newest all-star cast and Ryan Gosling’s macho driver as “The Lion King” reclaimed the top spot at the weekend box office, taking in an estimated $29.3 million. 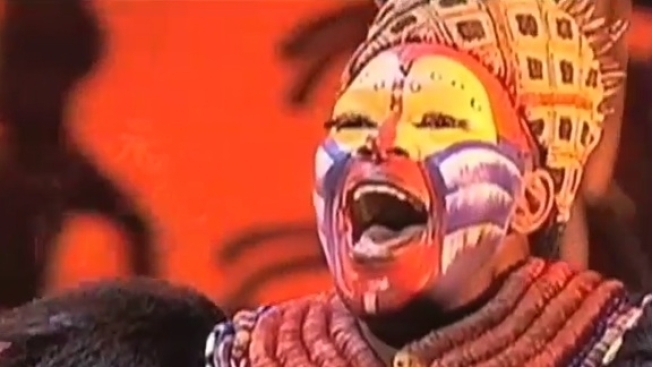 The rather stunning performance of “The Lion King” rerelease goes back “to the circle of life idea,” said Disney executive Dave Hollis. “Teenagers who saw it two decades ago are now parents and brought their children. Parents who saw it when it first came out are now grandparents and brought their grandchildren,” he told The Hollywood Reporter. “It was an opportunity to see the movie in a way they hadn't seen it before. And it's a little bit of the perfect storm." The new 3D version of Disney’s animated classic about life on the great savannah was timed to promote the upcoming BluRay edition and was only expected to earn about $12 million to $13 million, but families roared in appreciation this weekend. They made up 74 percent of its audience – and “The Lion King” had no other kids’ movies as competition among the top 10. Now, its planned two-week run could be extended. In all, the movie, which is the highest-grossing hand-drawn animated film ever, has racked up $357.8 million in domestic sales, according to EW.com. Soderbergh’s “Contagion” dropped to second place this weekend with $14.5 million. That was a 35 percent drop-off for the thriller about a nasty pandemic flu that spreads from Hong Kong to Minneapolis and far, far beyond, shaking up the lives of a protective dad (Matt Damon), a CDC director (Laurence Fishburne) and a WHO investigator (Marion Cotillard), among others. “Drive” was third with $11 million, and “The Help” keeps doing just fine in its sixth weekend, taking in $6.4 million for a running total of $147.4 million. The Sarah Jessica Parker comedy-drama “I Don’t Know How She Does It” made a disappointing debut in sixth place with $4.5 million. As E! Online noted, her husband did much better: Matthew Broderick is the voice of the grown-up Simba. Selected Reading:The Hollywood Reporter, EW, E!